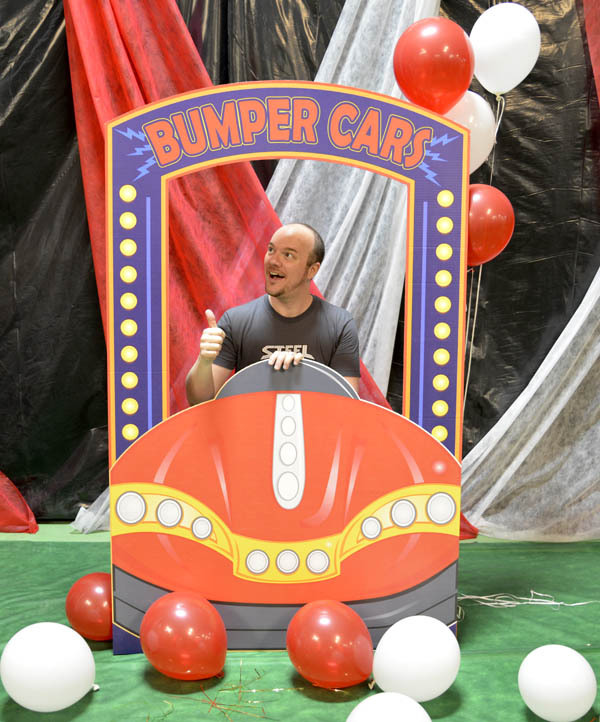 Bumper Car Photo Cardboard Stand-In - Dino Rentos Studios, INC. 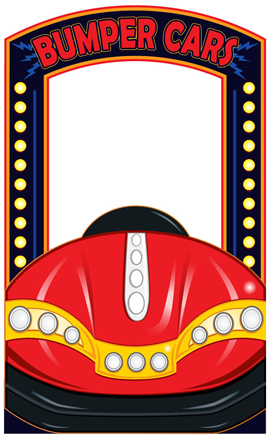 This Bumper Car Photo Cardboard Stand-In is great for your Carnival or Circus themed party, display or production! 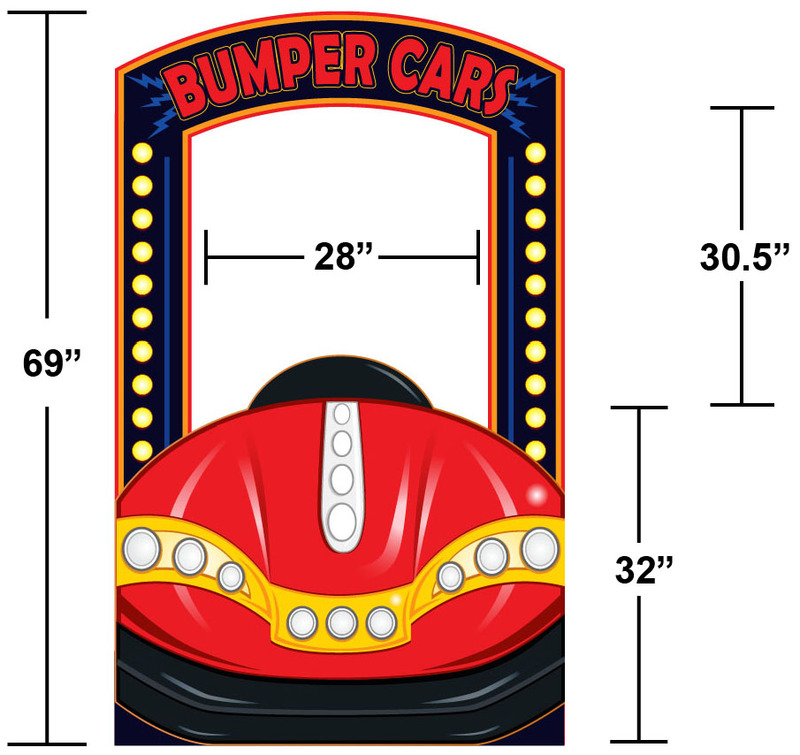 The prop is 5.75’ (69”) tall by 3.5’ (43”) wide.